It is easy to get overwhelmed in business and in life. I know how that feels, thanks to running successful start-ups while raising two happy, healthy sons. The key to juggling your priorities is knowing when to ask for help. And who to turn to. As a new Mum, in 2004, creating and running a business was fun and exciting, but also scary and time consuming. I loved learning new things, and doing one thing at a time to do all the bits and pieces of setting up my first business. But as my babies grew, so did my business, bras4mums. And so did the ‘to do’ list. It was still exciting, and scary, but I was loving serving women and sharing my knowledge. I had a very understanding husband, and we jointly shared the childcare, so I had dedicated time in my week to grow my business. And myself. I was able to use all the skills I’d learnt and developed to the full – project management skills, marketing and communication skills to manage my business. My staff team grew, and I enjoyed working with a team in the business. Life was full and fun. New skills were learnt so I could manage my business better – building websites, SEO, online marketing, business planning, business budgeting and managing cash flow. Even managing how I dealt with my new landlord for the business shop was a new skill (or should I say talent?). I think that was the least favourite part of the business exponential growth. I learnt to prioritise much better, and oursource work that took up too much time, or I didn’t enjoy. That was one of my priorities as the business grew, and my time became more precious. Then life happened, as it does. My Mum’s cancer returned, and she was given 18 months at the most. She was with us for 9, after this prognosis. We lived 250 miles apart, and I wanted to grab as much time with her as I could. So I did. The same month as Mum’s prognosis, the credit crunch started/happened. Sales halved within the month. I’d committed to a 3 year lease, technology and telephone systems for a rapidly growing business. Uhmmm. Yes, it was very hard to manage my business and juggle all this, with a 6 and 4 year old who’d just started school. The story goes on about how I managed my business around all this, but I won’t tell it here. I’m happy to share it with you, if you have time someday. Some of it includes a horrid website story, which you can read if you’re interested. That’s one of the reasons I’m so passionate about helping business owners like you manage all aspects of your business confidently. “She has clear project management skills and strong organisational abilities. You can trust her with your business and she completely understands the online marketplace. She’s great at spotting those tasks you’d like to get round to doing if you only had the headspace. Having helped friends, networking colleagues, and the ladies in the Bra Lady network to set up and manage their businesses from scratch, it came to me like a flash of inspiration that I could be helping a lot more business owners to overcome what feels like the overwhelm of business, and manage their business more confidently. To inspire confidence to listen to yourself, and make things happen in your business which make you and your customers happy. Make sense? 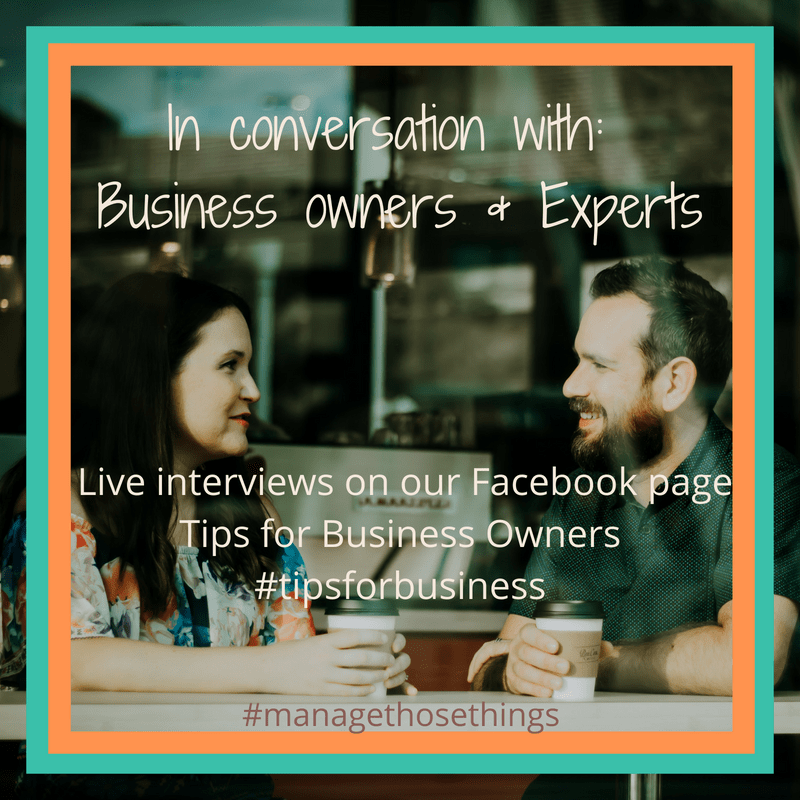 Are you wanting to manage your business more confidently? That’s how we help you. We have a number of things here on these pages to help you, with more to come on our new website which is currently under construction, (I’m so excited about this!). But there is so much MORE we can help you with. And if we can’t help you, we “know a man (or lady) who can” *some of you may be too young to remember the reference to this AA advert! I’d love to learn more about you. Connect with me, and the Manage Those Things team, by whichever method you prefer. I do have time off, which is generally at weekends when my teenage boys are usually doing some sort of sporting event. I’d love to hear what you’re up to & support your business growth, managing your business, so overwhelm doesn’t even rear it’s head in your world. I’m ready to share my expertise of managing my business, are you ready to learn?